Protospiel is an event where you can bring a board or card game prototype to play with other designers, play testers, and publishers. It's a great way to break your game and to fix it. It doesn't matter what level of polish your game has. Many games are made right on the spot at Protospiel. But there are also many games there that are just doing final testing before they are published or put out on Kickstarter. If you are a game designer looking to get professional level feedback from other designers there is no better place to get that feedback. You'll have the opportunity to play test your designs many times and the friendships you'll make will last a lifetime. What does a Protospiel look like? Generally there are 50 to 200 people. A mix of about 60% game designers and 40% play testers (though that varies with each con). Ages range from 12 to 70. Early on it was almost exclusively a male crowd for some reason, but we're happy to say that is changing with about 10-20% of attendees being female now. No one owns Protospiel. It was started in 2001 by Stephen Glenn, Dominic Crapuchettes, and Mike Petty. These days David Whitcher is the unofficial patriarch and, as such, controls Protospiel.org and the @Protospiel Twitter account and the Protospiel Facebook group. What types of games are usually represented? So you want to run a Protospiel? 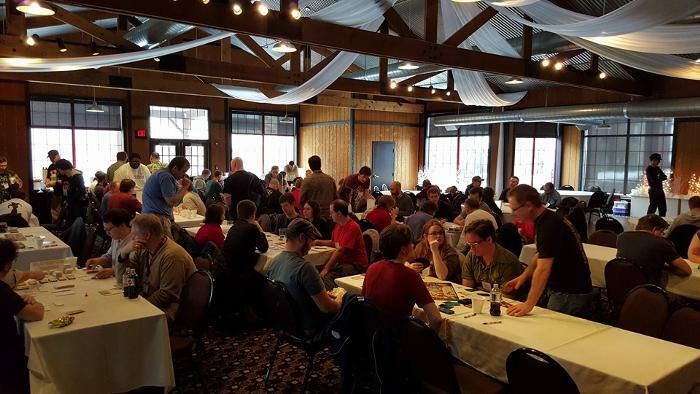 This site is dedicated to people thinking about running their own Protospiel-style event. The pages in the navigation (at the top of the page) will teach you everything you need to know about Protospiel to run one.